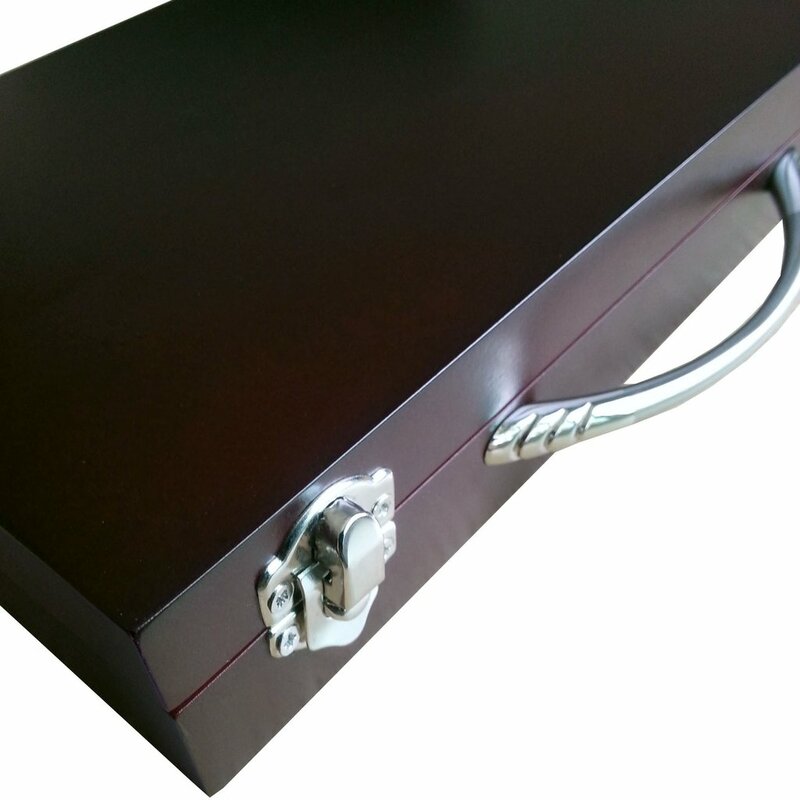 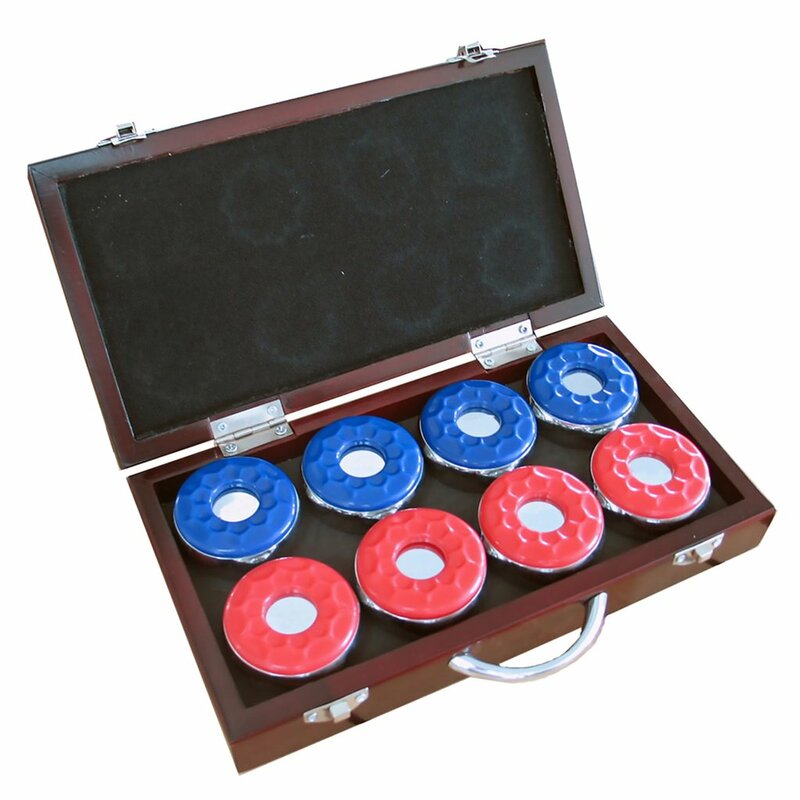 Our shuffleboard pucks are delivered in a handsome sturdy wooden storage case. 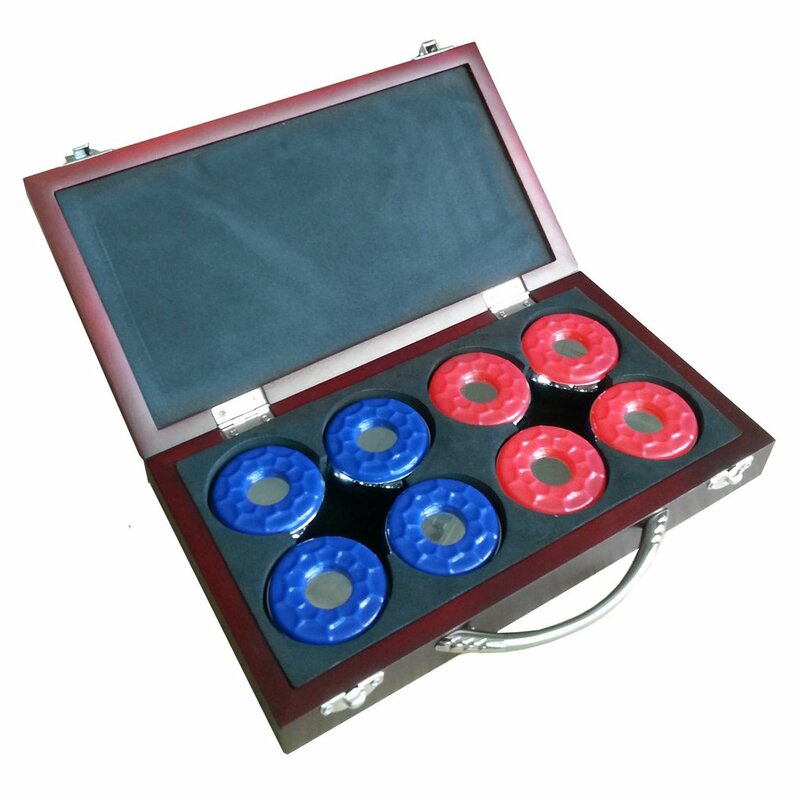 Each box contains 8 shuffleboard pucks - 4 red and 4 blue. 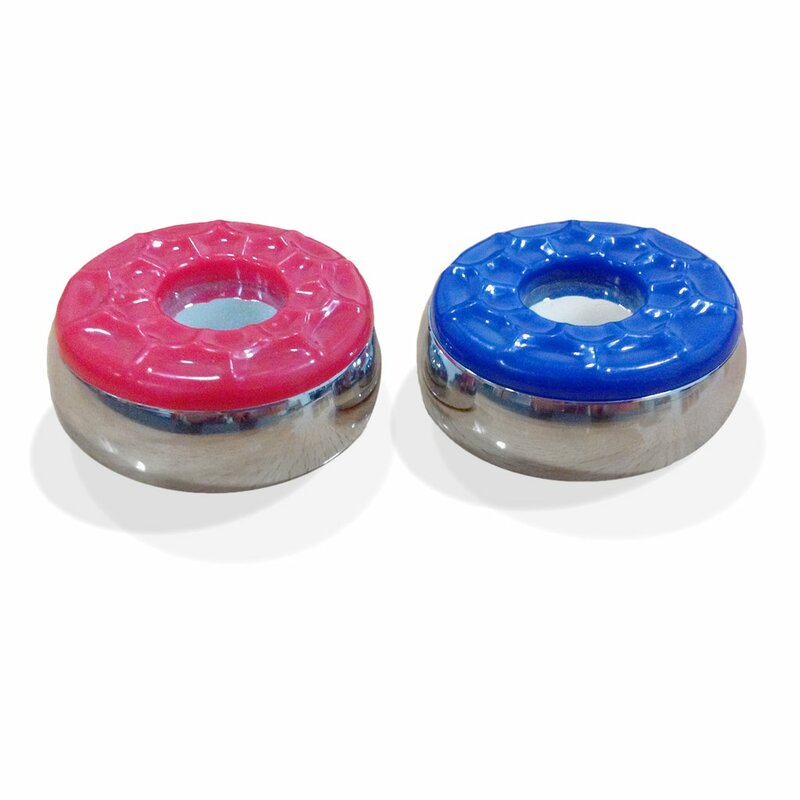 Each puck is dimpled for easy grip and beveled for maximum control. 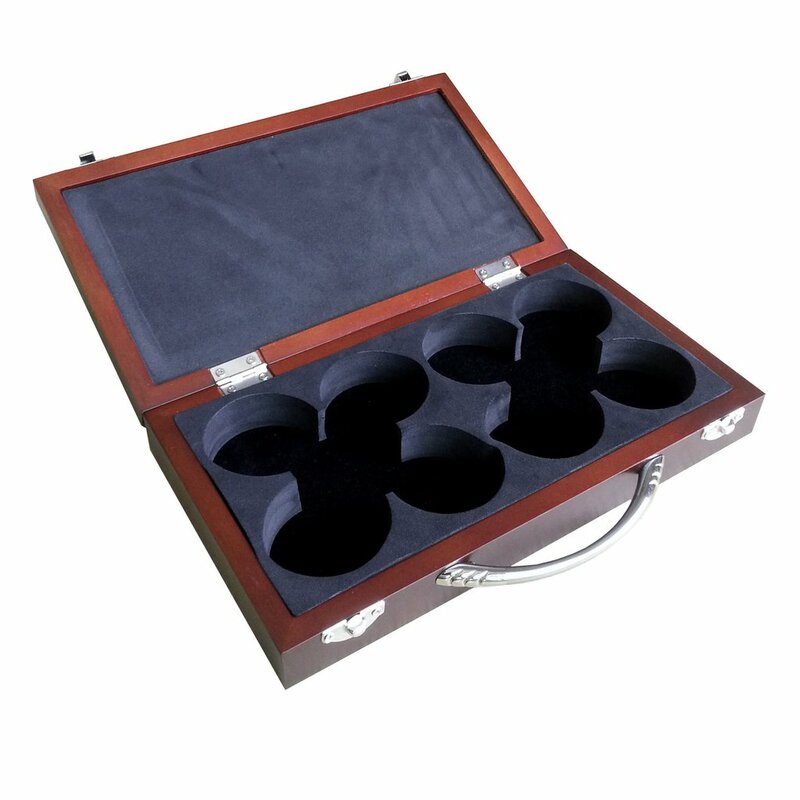 These regulation sized pucks, 2.125-in diameter each weighing 9.5-oz, will sail across your table.